Queens, NY A mixed-use residential rental building has begun construction in Flushing, an area that has seen notable new residential demand and economic development over the past several years. The developer of the building is Sky View Northern Tenant, LP. 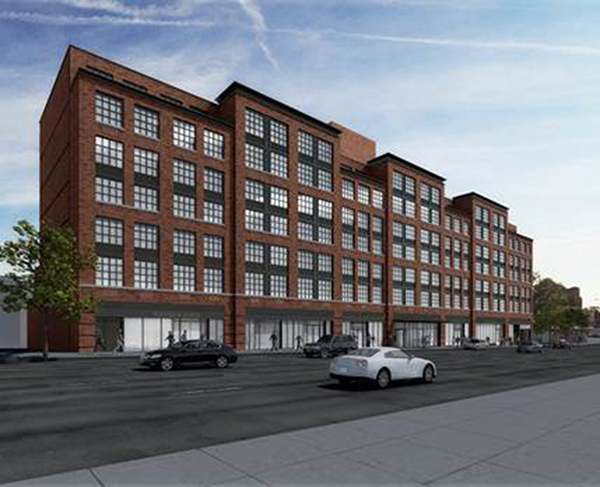 The 103 rental apartments will be part of a seven-story mixed-use building located at 144-74 Northern Blvd. The building is designed for high energy efficiency and blends into the context of the neighborhood with a classic brick façade. Ismael Leyva, a Manhattan-based architect is known for his work on such notable projects as Icon, The Charles, The Greenpoint, and for residential design in Hudson Yards, the High Line and earlier at Time Warner Center. “We are thrilled to have been selected to design this residential rental development at this outstanding Flushing location,” said Ismael Leyva. The new 165,000 s/f development will contain studio, one and two bedroom apartments comprised of 72 market rate units and 31 affordable units to be rented under HPD guidelines. The residential building will include amenity spaces with a fitness center, multi-purpose resident lounge, and community facility offices on the 2nd floor; a rooftop deck and below grade parking. Ground floor retail space has also been designed for the development and extends along the entire base of the building. Construction began this summer and will be completed by the end of 2019.